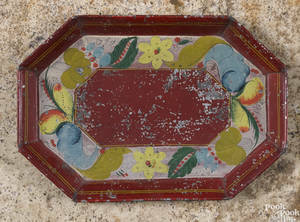 Painted Cast Iron Rabbit Doorstop. 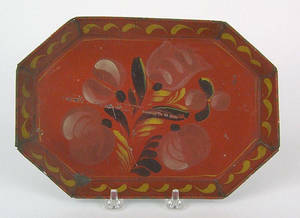 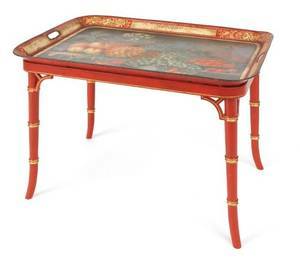 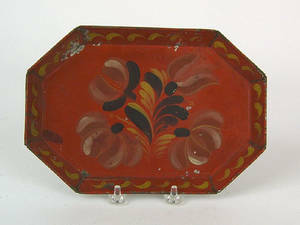 Red octagonal tole tray, 19th c.
Red octagonal tole tray, 19th c. , with floral decoration, 6" l., 8 5/8" w. Provenance: Robert Burkhardt 1940. 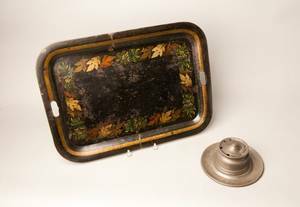 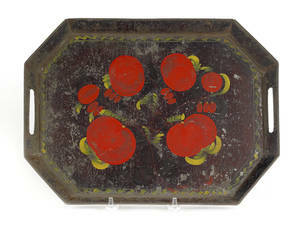 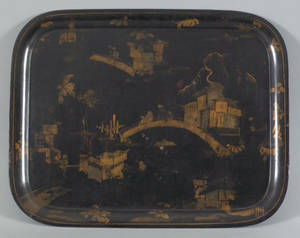 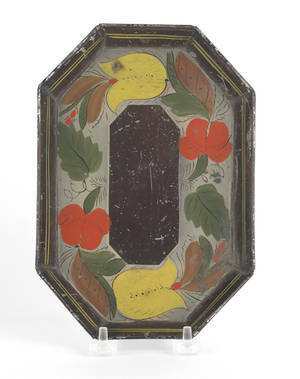 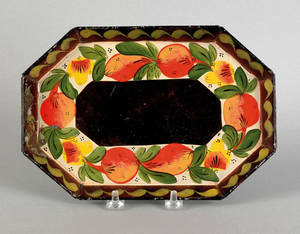 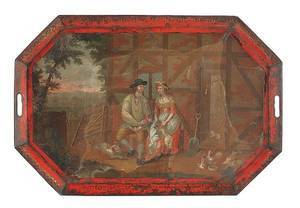 Archived auctions similar to Red octagonal tole tray, 19th c.
American octagonal tole tray, 19th c.
Small Pennsylvania tole tray, 19th c.
French painted tin tole tray, 19th c.
Small tole tray, 19th c.
Painted tole tray 19th c.
English tole tray, 19th c.